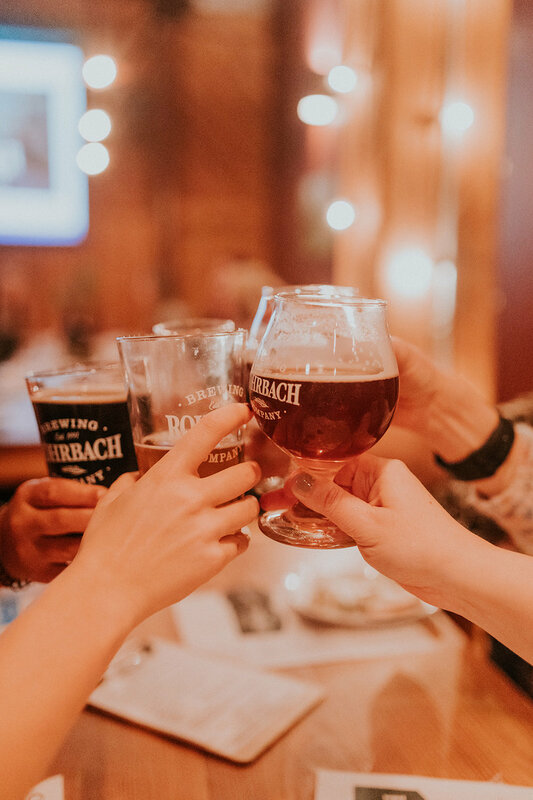 Last weekend, we had the pleasure of co-hosting and attending Women in Beer at Rohrbach Beer Hall & Brewery. 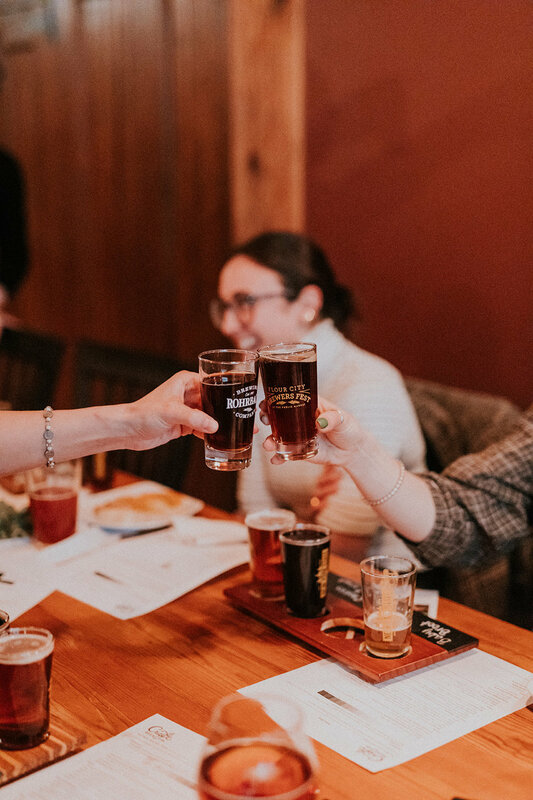 We had a warm and friendly welcome to the cozy Beer Hall event space at Rohrbachs by marketing director, Brittany Statt, brewer, Nicki Forster and beer hall manager, Emily Hoyt. Rohrbach Brewing Company is Rochester’s first craft brewery. The brewing company takes its name from Rohrbach, Germany, a small town that inspired its founder to bring craft beer to Rochester. The company first originated in the German House on Gregory Street, then grew into the two locations existing today, the Brewery and Beer Hall on Railroad St. and Buffalo Rd. Brewpub Restaurant. 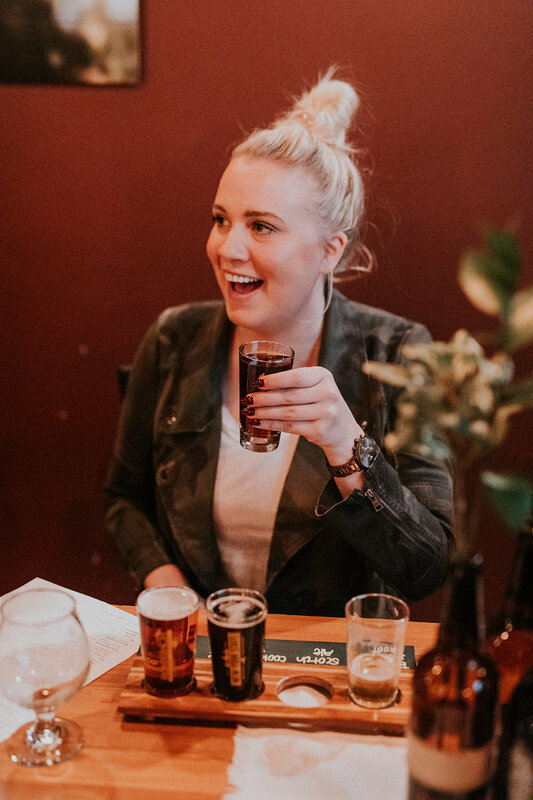 We went through each beer and discussed how using our senses helps to get a good grasp on the each beverage and how it was made (taste, smell, sight…). In our flights, we sampled Baby Broot, Scotch Ale, Cookies & Milk Stout and Space Kitty. Nicki and Emily were excellent guides and even told us some brewer secrets and how they came to name some of their beers… but we’ll never tell! After our guided tasting, we ended the evening with a tour of the brewery. We got a sneak peak where all the magic happens! It was so interesting and educational and truly gave us a new appreciation for the complex process of brewing. Thanks again to the wonderful staff at Rohrbach Brewing Company for being such incredible hosts! We’ll definitely be back!